“It seems like I was sitting in my living room, the apartment I live in now. And all of you were here. We were just sitting around talking when a delivery guy shows up with three bags of Chinese food and everyone started singing, “In a Gada da Vida.” Mike lit a candle and said, “Wow, that’s hot!” And then I looked over and Lynne had a cat on her head. And then it started talking, but it was french or something. I couldn’t understand it. Totally bizarre. I mean, that is so strange when animals talk in dreams, huh? Barbara and Carl start waltzing around the room. But it isn’t my living room anymore. They’re dancing, gliding in space with stars and comets whizzing by. They float past a table where I’m having a cocktail with Maureen, a mimosa, I think. Anyway, Maureen stands up and announces that the last train leaves in 28 days. She hands me a ticket which turns into a shoe and waltzes off with Omar Sharif. Oh! Oh! Then…, then Cheryl shows up in this really amazing red convertible to drive me to the train station. When I get in the car, I’m not in the car at all. I’m flying over the city. I fly back to my living room and you’re all still here. Each one of you hands me a fortune cookie ~ and that’s really spooky because all the fortunes are the same. No matter how hard I try, I can’t remember what the fortune said. I can see it, but I can’t make it out. The Dream Time. Where nothing makes sense, yet holds every answer you had ever hoped for. 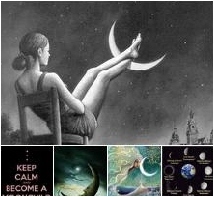 The Moon is sleep. Pisces, the dream. Have you ever written down your dreams and come back years later to read them? Did they come rushing back through the written word? Had you found your answer in the time that had passed? Is there one particular dream that stays with you even though years have passed, and no matter how hard you try you just can’t understand what it means? I had one way, way back when. I can see it as clearly now as I did the night I slept through it. A bit frightening, yet invigorating. Too telling, yet not telling enough. Did it seal my fate? Am I doomed to its message, whatever it was? 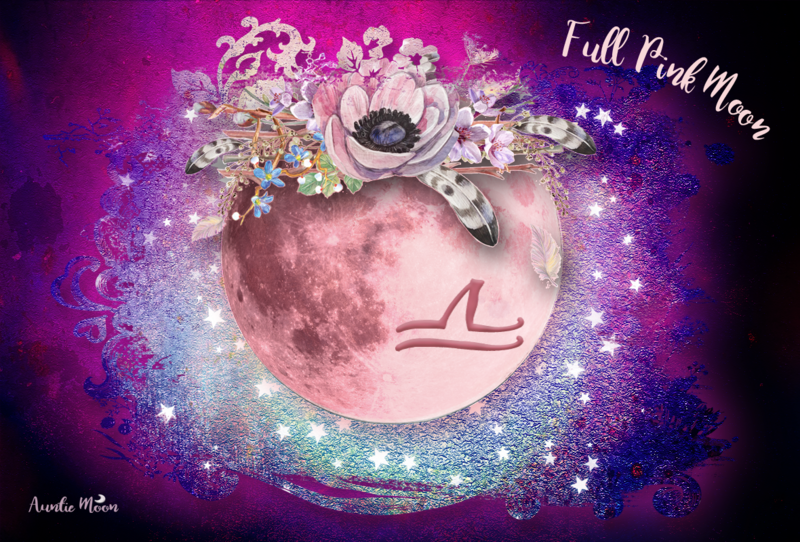 Take special note of your dreams during this Full Moon in Pisces. Write them down or speak them out loud. There may be wisdom there. Sometimes, in just the telling of a dream, it all makes perfect sense. It becomes gossamer, so thinly veiled that we wonder why we didn’t understand it immediately. We can laugh at our sleep laden attempts at superficial symbolism. It’s so clear, so simple. Did we really think we could fool ourselves with all that smoke and mirrors? Write them down. Come back to them. Weave the dream. Welcome, Pamela, and I’m glad it did. What’s your blog? I’ll visit.